If you have a really young player (Elementary aged), you might need a curved headjoint. 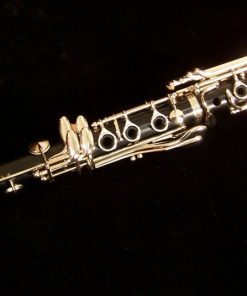 We can upgrade the Solist Student Flute to include the traditional straight and a curved headjoint! 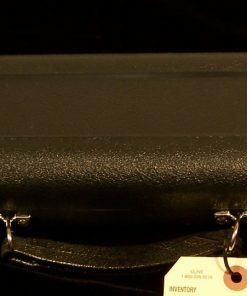 Upgrade includes a case that can hold the flute with both headjoints! Our Solist brand of instruments are instruments that are built exclusively for us with the student player and budget in mind. 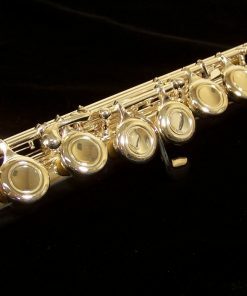 We realize that times are tough and especially when shopping for a first year player, many parents do not want to or simply cannot afford to go spend $600+ on a student flute. 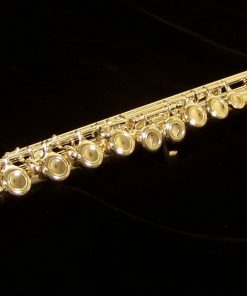 Sadly, this has also opened up the market for many inferior quality flutes to be sold on auction sites, in swap meets and other stores that are simply looking for the lowest cost instrument that can be sold. This is simply unacceptable for a new student. 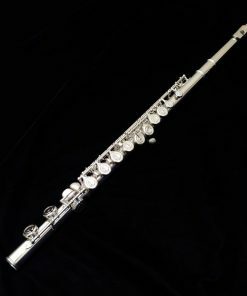 New students NEED a high quality student flute in order for them to grow and progress and enjoy playing music. Inferior instruments detract from this and make it difficult for the student to progress commonly leading the student to simply stop playing all together. Our Solist Student Flute is the answer to this dilemma. Solist instruments are designed for Kessler & Sons Music to meet our exacting standards. 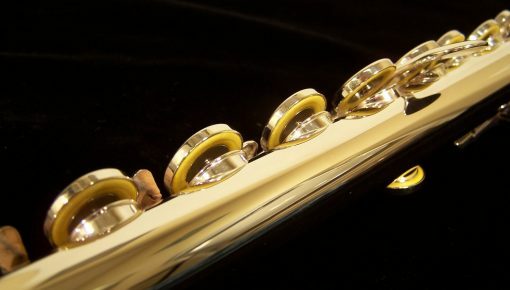 We put focus on the core materials and design in order to provide you with a better student flute for an affordable price. 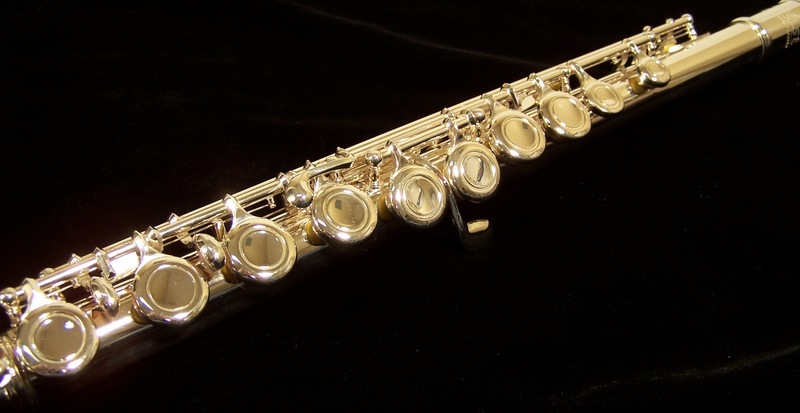 As a repair shop, we designed our student flute to provide great durability and performance. 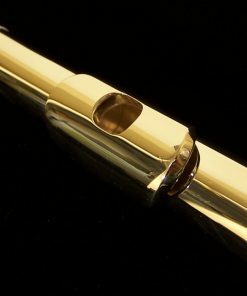 The headjoint is the engine of any flute! This is where your sound and performance starts and the rest of the flute simply amplifies this performance. Sadly, too many student flute makers will design their headjoints to be lower in cost to produce but also lower in performance capability. 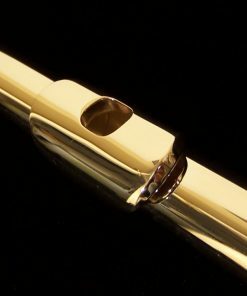 We believe that even a student would greatly benefit from a great headjoint and that it will help them become a better flautist without being forced to upgrade in order to improve. All Solist flutes include a professional style, hand-cut headjoint to help you get the most from your first breath! 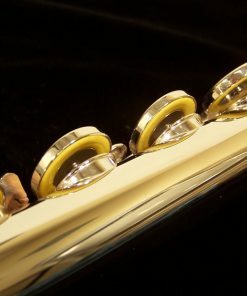 Our Solist student flute can also be purchased with a Curved Headjoint which helps younger players. 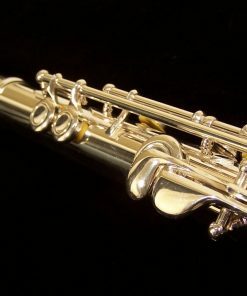 The straight headjoint is still included for when the player grows into it. 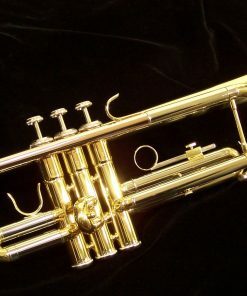 When purchased with this option, the case is exchanged for a case that accommodates both headjoints and uses a case cover. Pads – what’s the difference? Many people do not realize the difference that the quality of pad makes to both performance and as well to your maintenance costs. Most of the student flute offerings on the low cost market will use a basic single bladder pad that is usually blown out and in need of replacement within 12-24 months! That means you have to repad it within 2 years! That’s unacceptable. We make sure to use the highest quality Lucien Deluxe dual bladder pads in our Solist student flute . These pads give better performance than cheap pads and have a life expectancy of 4-7 YEARS! Granted, you still have to maintain your student flute properly, bit as long as you do, our Solist student flute will last far longer than most student flute models and give exceptional performance! 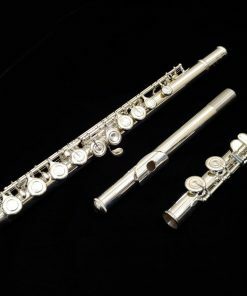 Every student flute we send out to a customer is not released from us unless it has been completely setup in our shop first. This is because the setup on the student flute is of the utmost importance! Sometimes, a flute (regardless of who the manufacturer or the price point is) comes in needing 20 minutes of adjustments and then the very next one can require 2 hours! This is why we perform our setup in our on site Flute ProShop on your student flute before delivering it to you. You trust us with your purchase and we want to make sure that you are rewarded by giving you your new flute setup flawlessly! 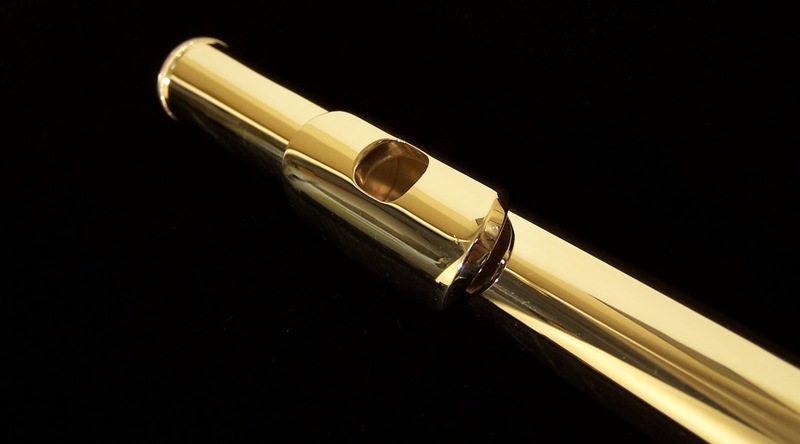 – Curved Headjoint Option also available! 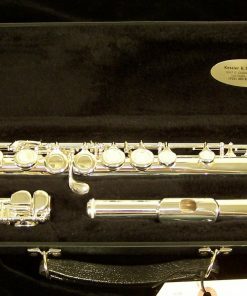 The Solist student flute is the best student flute on the market. It’s a shame not many people know of this flute. 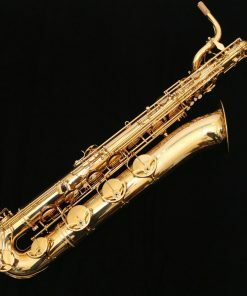 It outperforms all other brands including Yamaha, Pearl, Jupiter, and Emerson. The scale is superb with great intonation throughout all registers. The headjoint is responsive and produces an incredible tone. 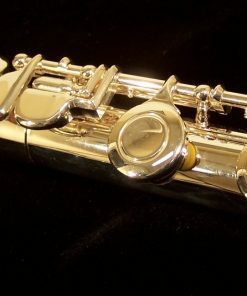 This flute plays like a higher level instrument. I will definitely have all my students get this flute as their first instrument.